LAS CRUCES, N.M.--The New Mexico State track and field team travels to Moscow, Idaho to compete in the 2014 Western Athletic Conference Championships on Feb. 26-28. The Aggies have gained momentum throughout the season and look to put forth their best performance when they take on the WAC teams. Several athletes hold top spots in the WAC standings for their performances during the season. Senior Brianna Cromartie has dealt with some injuries during the season, but is still ranked second in the WAC for her performance in the 400-meter dash with a time of 56.94, which she attained at the Masked Rider Open (Jan. 31). Junior Diana Hawk leads the WAC with her time in the 1-mile run set at 4:54.31, which she ran at the New Mexico Collegiate Classic (Feb. 7). She is also ranked second in the 3000-meter run with a time of 9:49.41, that she ran in the Masked Rider Open. Senior Alishia Perkins ranks in the top five in both the 60-and-200-meter dash. She ranks fifth in the 60-meter dash with a time of 7.69, which she ran at the Lobo Collegiate Open (Jan. 18). In the 200-meter dash, Perkins ran for a time of 24.69 at the New Mexico Collegiate Classic, which is good for fourth in the WAC. 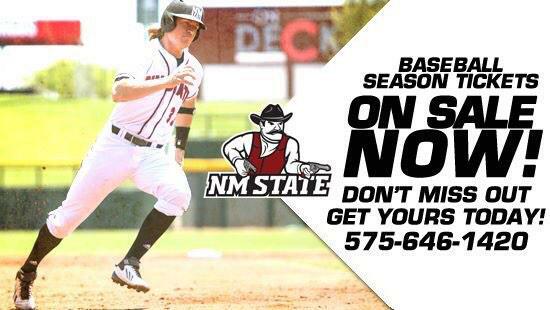 All season NM State has been helped by their freshman class and several of these athletes have found themselves in the top 10 in the WAC for their efforts. Freshman Katara Nelson is tied for eighth with junior Jenna Banegas in the 60-meter dash with a time of 7.83, that she ran at the Red Raider Open. Banegas reached this time while running at the Lobo Collegiate Open. Freshman Paige Patterson is ranked fifth in the 200-meter dash with a time of 24.93, that she earned at the Red Raider Open. The Aggies have also put together a formidable 4x400-meter relay team consisting of Patterson, Banegas, Nelson and sophomore Latrice Brooks. The team is ranked second in the WAC with a time of 3:48.96. The field team is led by senior Zoe Meade who is ranked in the top 10 in the WAC for several different events. In the high jump Meade ranks sixth with a height of 1.58m (5-2.25). She is ranked eighth in the long jump with a distance of 5.39m (17-8.25), and is ranked 10th in the shot put with a distance of 12.37m (40-7). Senior Deserae Cota leads the Aggies in the long jump and is fifth in the WAC with a jump of 5.55m (18-2.5). Juniors Taylor Black and Marissa Gonzales find themselves ranked fifth and seventh respectively in the pole vault. Black has a jump of 3.57m (11-8.5) and Gonzales sits at 3.35m (10-11.75). When the Aggies complete the WAC Championships, any athletes that qualify will travel to Albuquerque N.M., to compete in the NCAA Indoor Championships on March 14-15. For live scoring of the WAC Championships go to WACSports.com.